You are looking for a birth gift to offer a second child and want to find an idea that parents would not have already received or bought for the eldest? 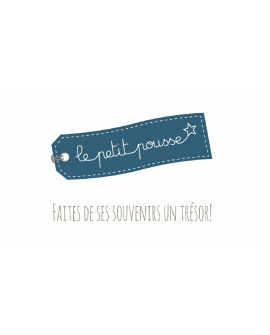 Discover Le Petit Pousse products, original birth gifts to preserve baby souvenirss and that will be used all life long. Choose among our gift ideas and be sure to please parents and their second baby.